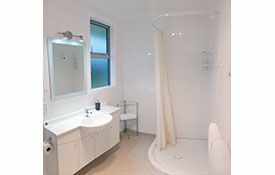 Bruce and Sue Millin, your hosts at Glacier View Motel Franz Josef, invite you to stay at one of our well-appointed units in a park-like setting with spectacular views of the rainforest, glacier and mountain vistas. 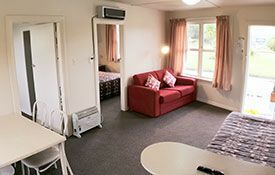 We are located in a World Heritage Area, South Westland National Park, State Highway 6, Franz Josef Glacier, just 2km north of the town centre. The Tatare River runs alongside the motel grounds and provides a soothing background for your relaxing stay. Wake up to the morning chorus of the native tui, bellbird and other tree residents. 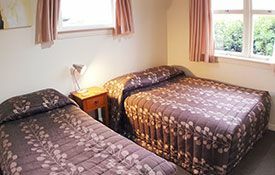 Choose from one of our self-contained studios for two guests through to a self-contained 2-bedroom unit for families. Covered parking for your vehicle is directly outside your accommodation in Franz Josef. Guest laundry, continental breakfast, pets by arrangement, and a complimentary booking service for all your glacier activities. Comprehensive Travel Insurance is strongly recommended before you begin your holiday.